Giannis Antetokounmpo is a near lock for the MVP after announcing his claim as top dog in the Association with a phenomenal season even by his own freakish standards. He was the undisputed best player on the best team logging the least minutes since his rookie year, all while transforming into a more cerebral scorer and anchoring the #1 defense in the league. The Greek Freak is almost surely going to be in the center spotlight out East, and the questions that will ring loudest will be if he can outshine other stars like Kawhi Leonard or Joel Embiid in the Conference Finals or even carry the Bucks to a title over the alphas out West. But as nuclear as he can be, the Bucks boast a supporting cast full of shooters and rangy defenders at every position (including Brook Lopez who moonlights as a soul-snatching dunker), which under the guidance of guru Mike Budenholzer forms a fearsome unit for any team in either conference. With sights this high, who has time to think about the Detroit Pistons? Well, nobody really does. The Bucks ran away with their season series by an average of 14.8 points and are the stingiest defense at the rim, allowing just 29.6 points per game in the restricted area – hardly ideal for their star big-man tandem of Andre Drummond and Blake Griffin. Though Griffin will be overmatched for any of the Bucks players bar Antetokounmpo and the Pistons carry one of the best three-point defenses in the league, it’s still too difficult to see this matchup as anything more than the first pillar in the way of the wrecking ball that is the Greek Freak and the Bucks. Kirby Jalandoni: Will Gordon Hayward re-emerge as a star in the Pacers series? After Victor Oladipo went down with a devastating injury, the Pacers didn’t plummet like many expected. The rest of the supporting cast perked up in response; Bojan Bogdanovic picked up the scoring load with averages of 20.7 points on an uber-efficient 50-41-79 shooting split since ‘Dipo’s injury, Myles Turner emerged as a DPOY candidate, and future hall-of-famer Thad Young has been facilitating at a career-best rate to make up for the lack of playmaking juice in the roster. The fact that Indiana nearly finished with 50 wins despite Oladipo’s injury is remarkable; even more so if you consider that Tyreke Evans, who was signed partly as a safety net in case Oladipo went down, is literally the worst finisher in the league –– by a wide margin. The underwhelming Celtics, meanwhile, Celtics finished a mere game ahead of them. But ever since they replaced Marcus Morris with Aaron Baynes in the starting lineup in late-March, they’ve scorched with a 5-1 record –– including two wins over the struggling Pacers. Gordon Hayward’s play has been central to this late run, averaging 16.9 points on 62% shooting in the final seven matches. 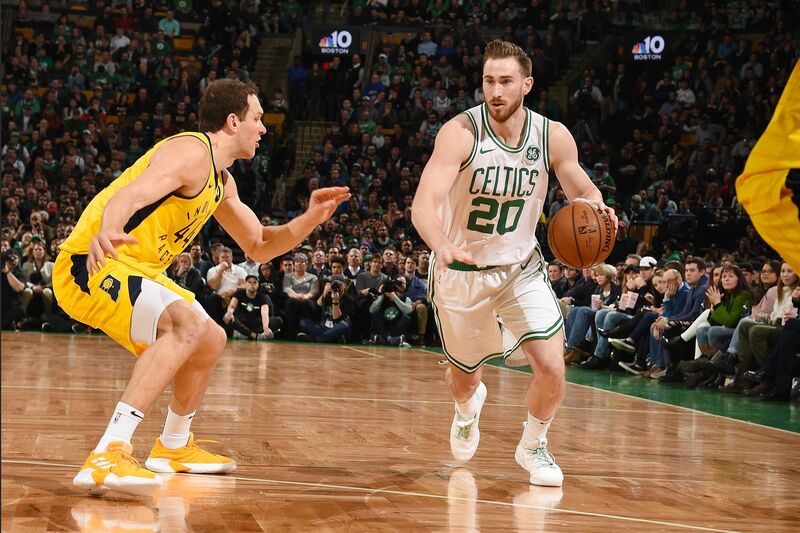 He recently dropped 21 on a perfect 9-for-9 clip against Indiana, attacking switches with verve and barreling his way to the rim with more confidence –– things we rarely saw from Hayward in the nascent stages of the season. Hayward’s mini-renaissance comes at the heels of Marcus Smart’s injury, setting the stage perfectly for the former All-Star to re-emerge with a bigger role under the bright lights. If he can continue to scorch the league’s third-best defense en route to a series victory, the rest of the East has to be put on notice. When Joel Embiid signed his max contract extension in the summer of 2017, the Philadelphia Sixers took a lot of heat for signing The Process to a massive deal off of a 32-game sample size. Embiid responded immediately. 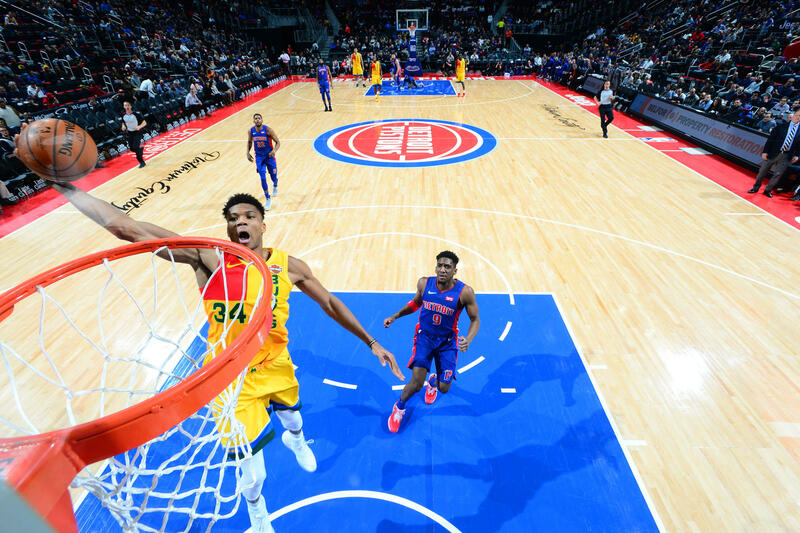 He dropped 22 points and 7 boards in under 15 minutes in his first preseason game in 2017 against the Brooklyn Nets, and threw in a cocky little, “They can’t f****** guard me!” at then-Net Trevor Booker after drilling a face-up jumper in his face. A whole lot has changed for the Sixers and Nets in the two full regular seasons since that day. 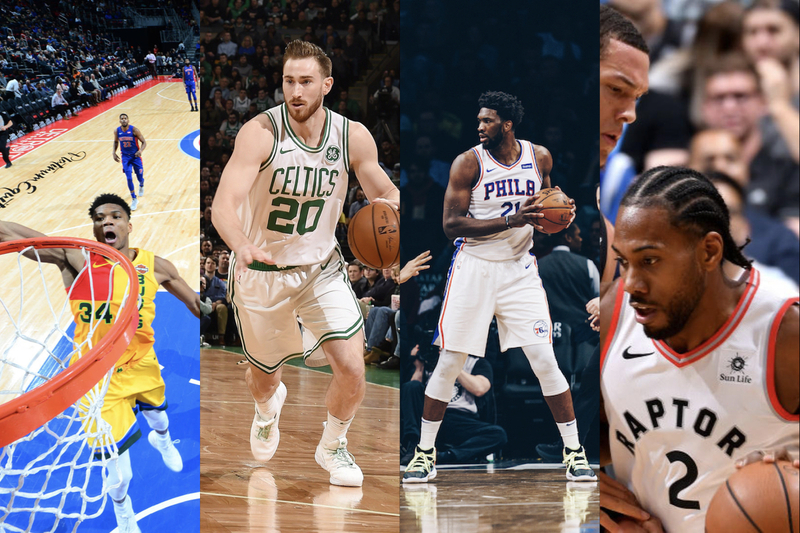 The Sixers have had back-to-back 50-win seasons, and acquired two borderline All-Stars to run alongside Embiid and Ben Simmons. The Nets have leaped into the competent tier of NBA teams due the emergence of D’Angelo Russell as an All-Star, and Caris LeVert, Spencer Dinwiddie and Jarrett Allen as young and capable pieces. The one thing that really hasn’t changed: The Brooklyn Nets still can’t f****** guard Joel Embiid. – The 120 points Embiid scored (on 60 percent shooting) were the second most scored by any player against Brooklyn this season, one fewer than the 121 scored by Kemba Walker. He was one of two players with four double-doubles against the Nets and the 46 free throws he attempted were 18 more than any other player attempted against Brooklyn. – The Sixers were a plus-27 in 134 minutes with Embiid on the floor and a minus-40 in 58 minutes with Embiid off the floor. 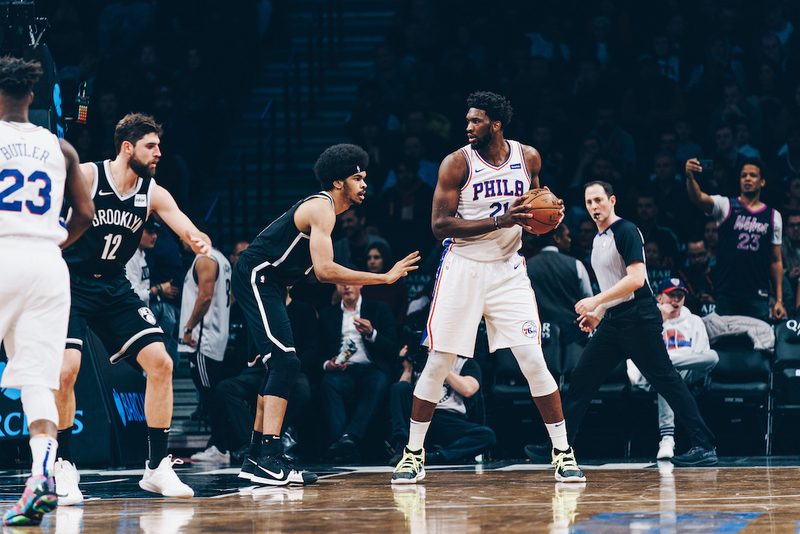 – The Sixers scored 151 points on 115 possessions (1.31 per) in which Jarrett Allen defended Embiid and 134 points on 113 possessions (1.19 per) in which Ed Davis defended Embiid. The Nets had more success with the 6-7 Rondae Hollis-Jefferson on the seven-footer. Embiid absolutely worked the Nets this season, and there’s no reason to think this will change in the playoffs. This may just be the series that he cements himself as a surefire Top 5-8 player in the NBA. That headline could be interpreted in a couple of ways. First, the obvious, is the fact that the Toronto Raptors always seem to get in their own heads in the playoffs. Although they finally ended their Game 1 curse against the Wizards last year, the Raptors managed to find an even more miserable way to lose a Game 1. That crushing Game 1 loss to the Cavs in the Eastern Conference Finals mentally removed them from that series, as LeBron and Co. euthanized them out of the DeRozan-Casey era. But the Raptors are a new team. They have an actual superstar and proven winner in Kawhi Leonard, an improved All-Star level sidekick in Pascal Siakam, and other battle-tested veterans in Danny Green and Marc Gasol. The roster is finally set up to breakaway from the franchise’s curse for good, but might be headed for a trap against the Orlando Magic. Speak of the Magic, their length and defensive versatility make them look like a Raptors Lite. Kawhi is everything Aaron Gordon should be, Pascal Siakam is the two-years-from-now Jonathan Isaac, and Evan Fournier is Danny Green that never played for the Spurs. Ironically, Gasol could even be seen as the lite version of Magic All-Star Nikola Vucevic. With that said, the Magic (the #1 Defense since February 1st) could create several problems for the Raptors because of their length. A simple example of this is the fact that Siakam shot just 13 of 38 from the field against Orlando in their season series, giving him a 34% FG mark that was his lowest against any opponent. It’s likely not a coincidence that Jonathan Isaac was his primary defender. 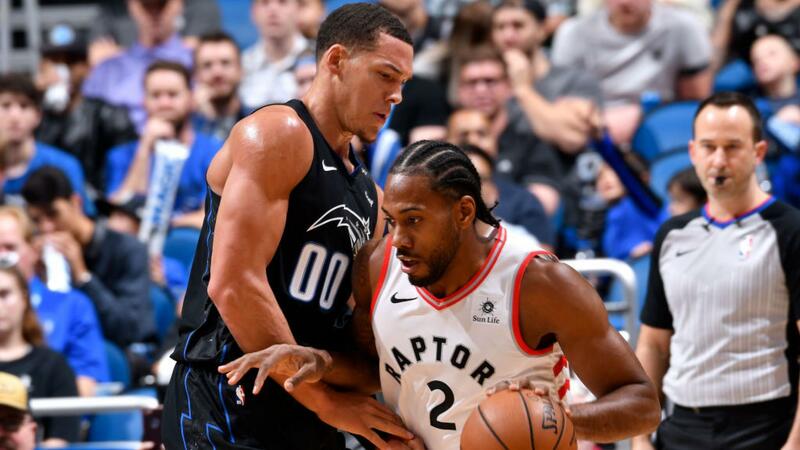 All in all, the Raptors face a stiff test, but should come out unscathed if they are able to come in as the best possible version of themselves.